Can you see the orangutans? 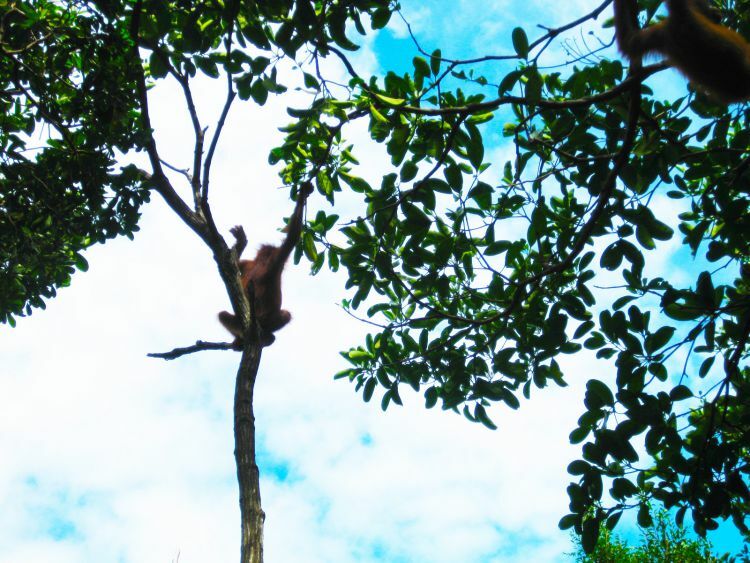 A few years ago, we stayed at the Shangri-La Rasa Ria Resort & Spa in Borneo on the chance of spotting some orangutans and enjoying the sunshine and beach. We originally planned to stay at the Shangri-La Rasa Ria and take an internal flight over to Sandakan to visit the Sepilok Rehabiliation Centre. Since it was the start of the rainy season, heavy rainfall the night before our flight had flooded the roads. The next morning we took a taxi to the airport only to be stopped after about 3 miles along as the roads were impassable. So unfortunately we missed our flight. How gutted were we. Luckily, the Shangri-La Rasa Ria had a nature reserve surrounding the resort and Ian suggested we should see the orangutans there. Every cloud has a silver lining! 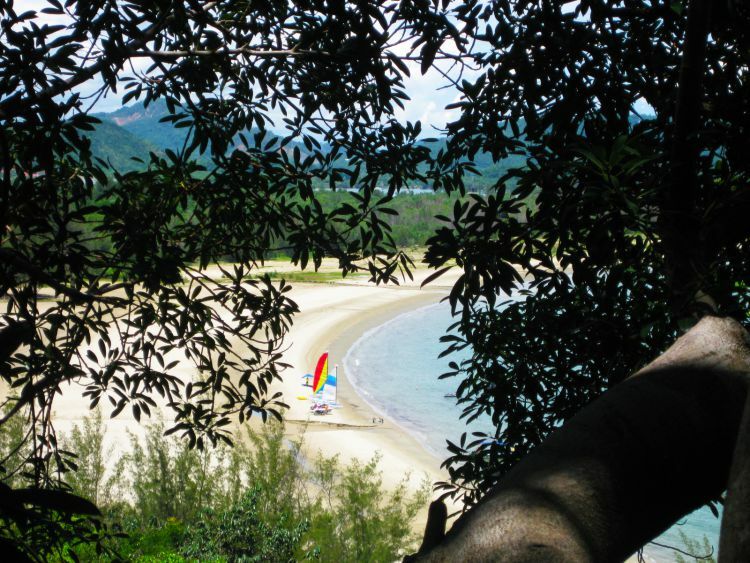 The reason why we chose to stay at Shangri-La Rasa Ria was due to it’s uniqueness of being within the Nature Reserve. The Reserve encompasses some 64 acres of tropical rainforest and offers the chance to see some of the protected wildlife. 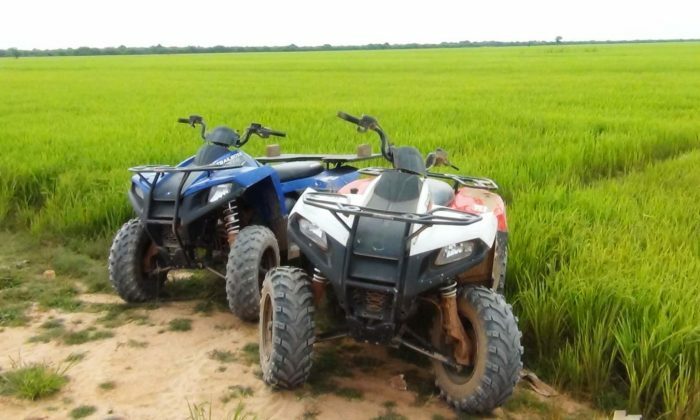 In 1996, the Nature Reserve was established in collaboration with Sepilok Rehabilitation Centre. The aim of the Orangutan Rehabilitation and Conservation Programme was to care for any orphaned orangutan in the Reserve before moving them onto Sepilok Rehabilitation Centre. Once an orangutan has completed the reintegration programme, it is then released into the wild, although this can take up to several years. 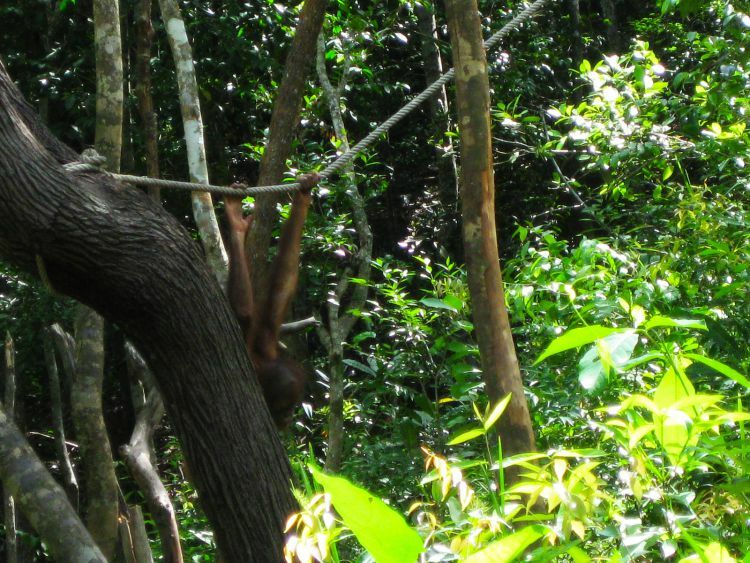 Only a handful of orangutans have been taken into Sepilok over the past few years. The Orangutan programme has helped raise awareness to the plight of the orangutans, not just in Borneo but also worldwide. 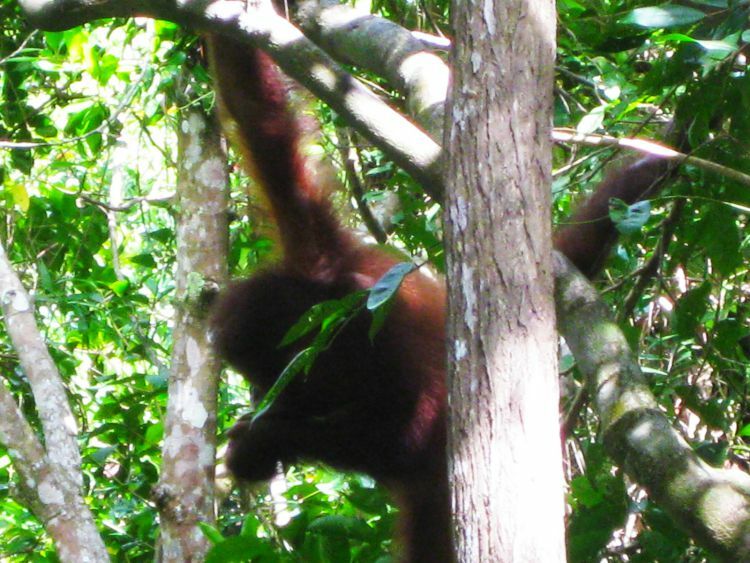 Last year, the last two orangutans were finally released from the Nature Reserve to Sepilok. 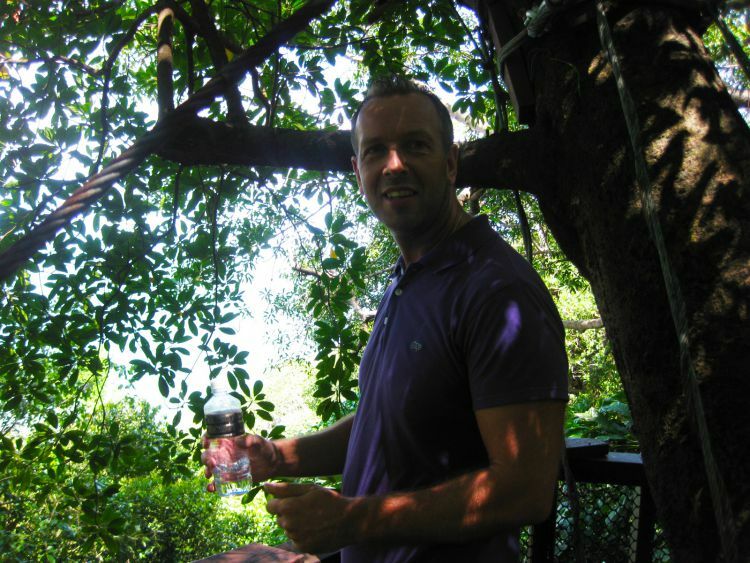 Super hot day – stay hydrated! 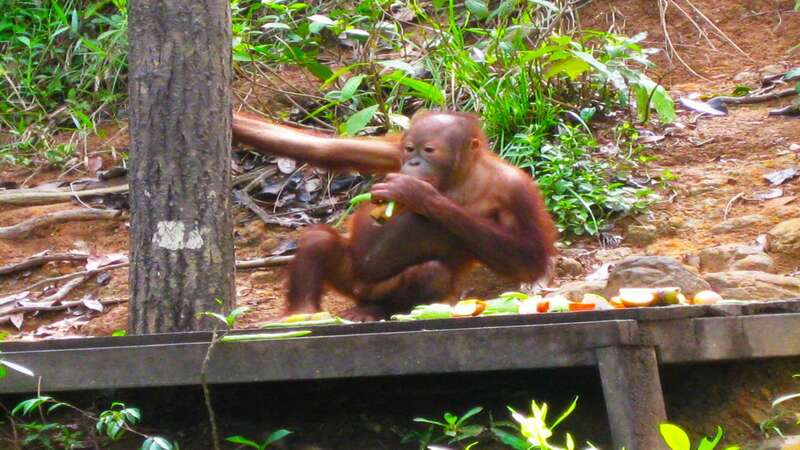 As we approached the feeding area for the orangutans, food was placed on the feeding platforms. 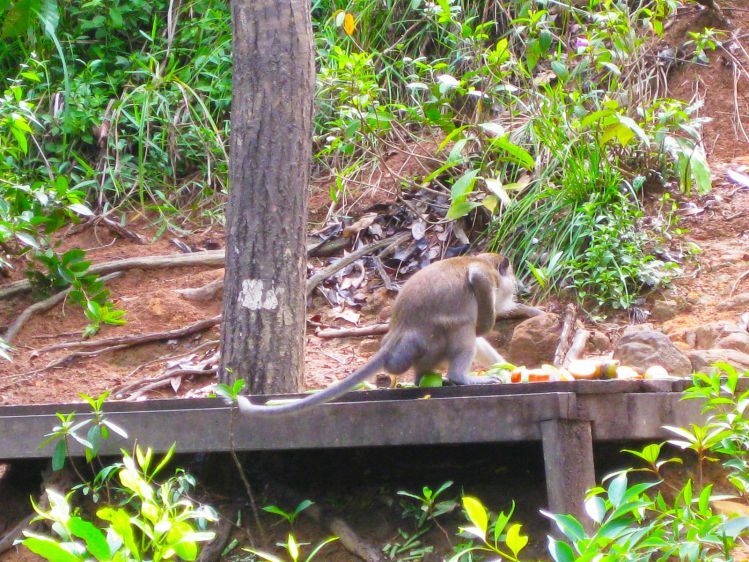 The cheeky macaques were constantly hanging around the platforms trying to steal any/all of the food! 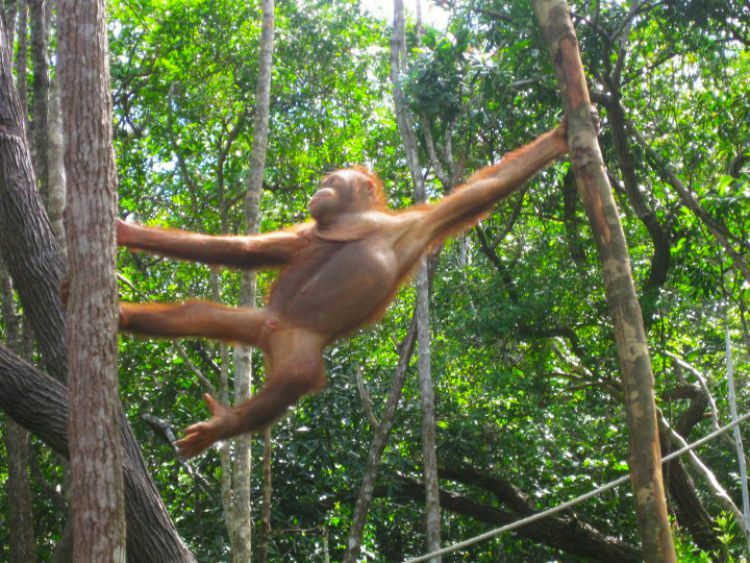 Then suddenly we saw an orangutan swinging through the trees as if he was the ‘king of the jungle’. He looked so adorable with his punky orange hair and googly eyes; it seemed as if he wanted to play. 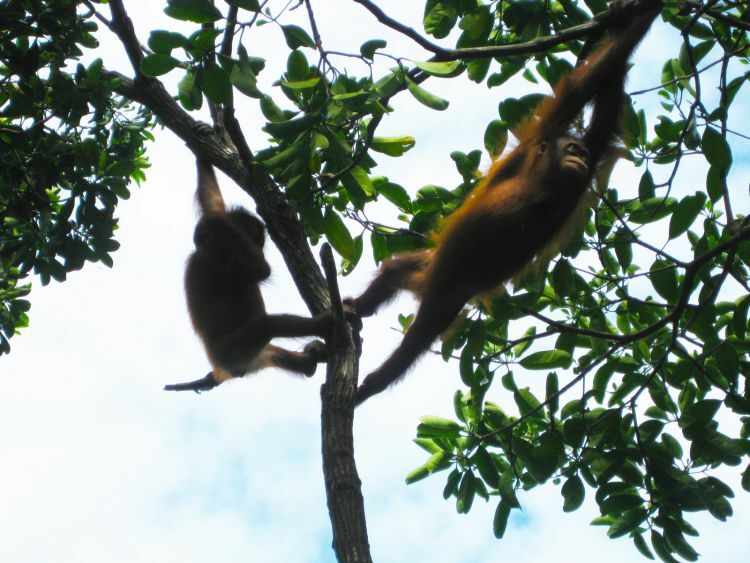 The young orangutans were very curious, trying to come near us but were shooed away by the rangers. I could have watched them for hours, swinging from tree to tree, hanging off branches with one arm whilst eating the fruit and veg. This orangutan is too cute! 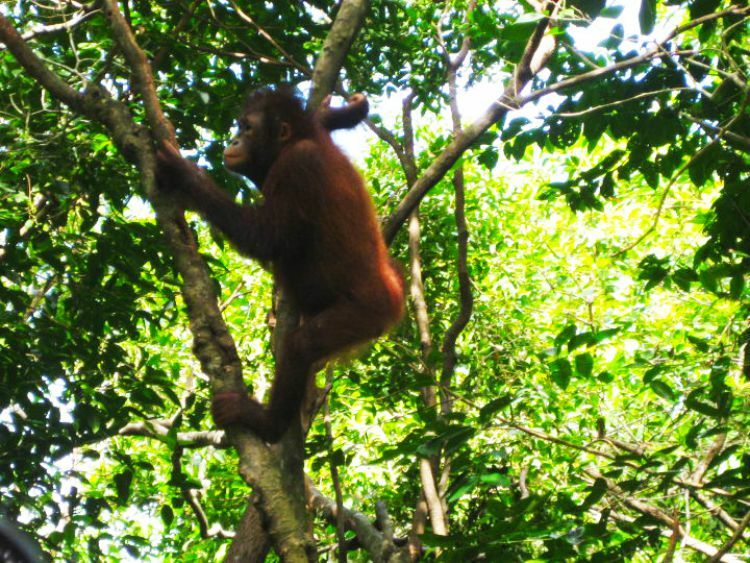 It was devastating to see these young orangutans ending up at the Nature Reserve, often as a result of deforestation. 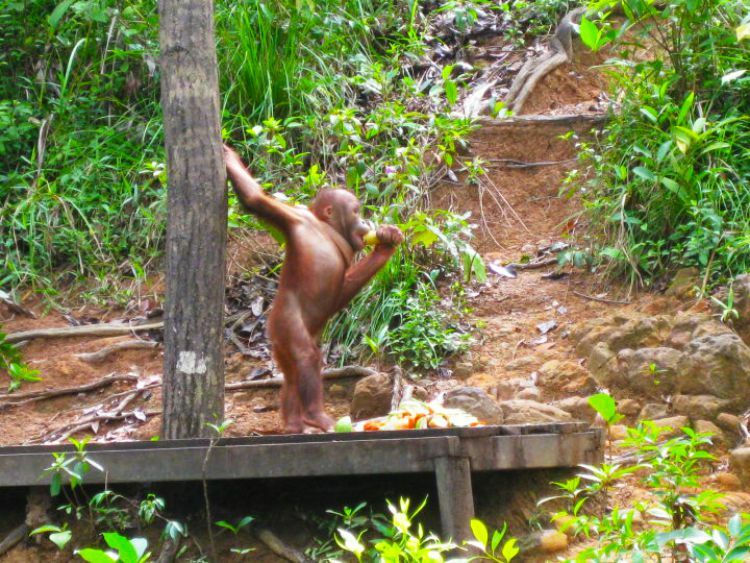 However, the rehabilitation programme helped each orangutan learn how to survive, by teaching it vital skills for when it was released back into the wild. So at least some good was coming from this. 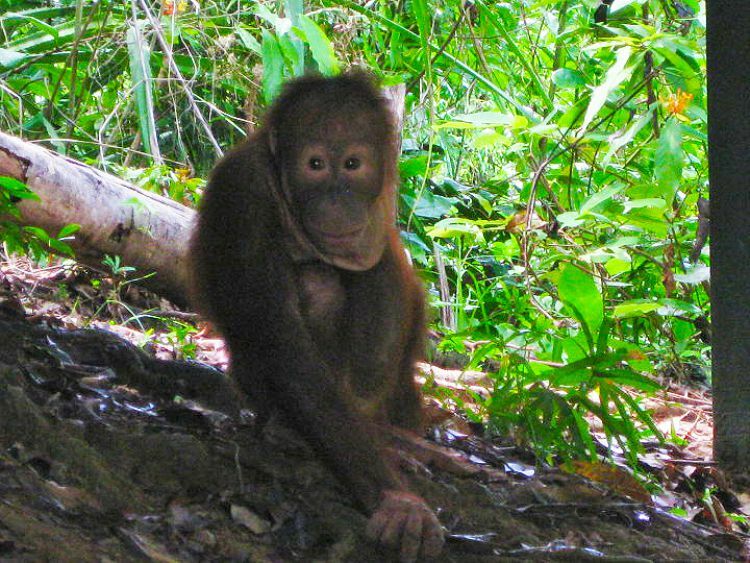 These programmes help save the orangutans from extinction in the rainforests of Borneo. 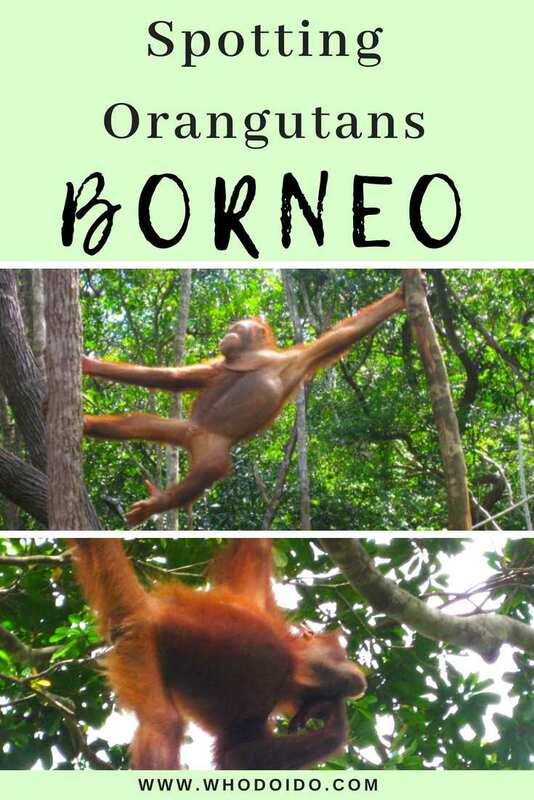 Have you been to Borneo? 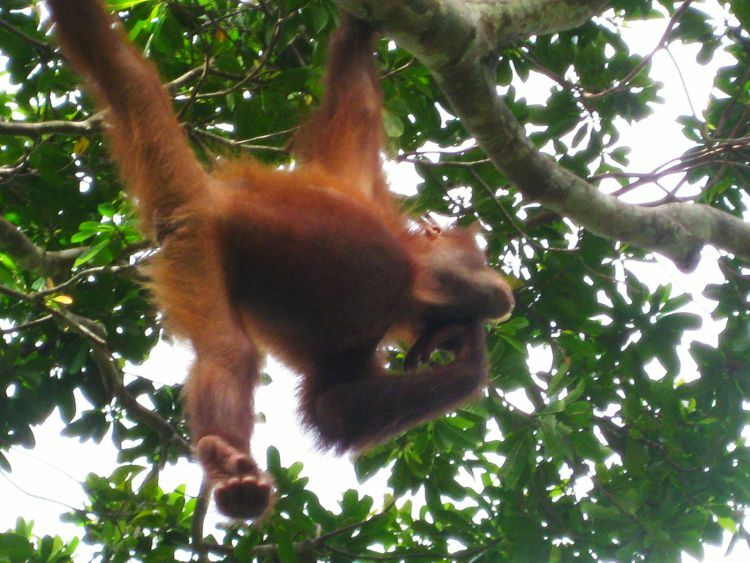 Have you spotted orangutans before? Only in my dreams. Its awful how much humans are taking away from them. What an adventure even if it was hard to see! Have been to Malaysia several.times, never to Borneo. 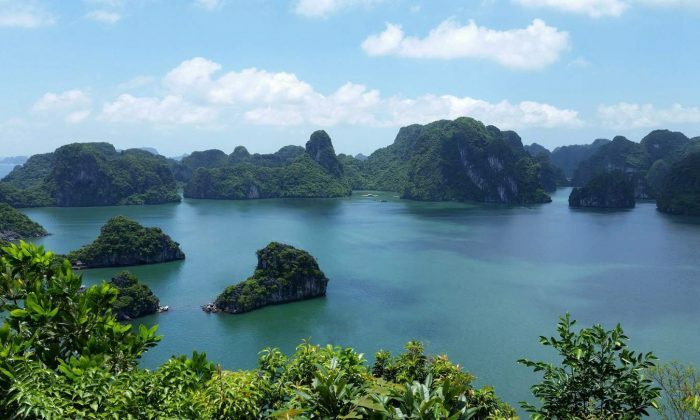 Will surely visit now. Loved the pics. I’ve never been to Borneo. The rehabilitation program sounds great! Maybe I’ve seen Orangutan in zoo. But only in cages of zoo. I’ve never seen Orangutans live in nature. 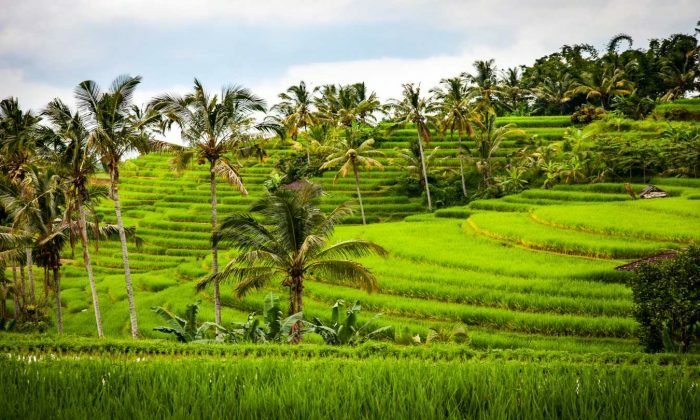 You must have a great experience in Borneo!! Thank you so much for nominating us for the award! We’re so grateful!